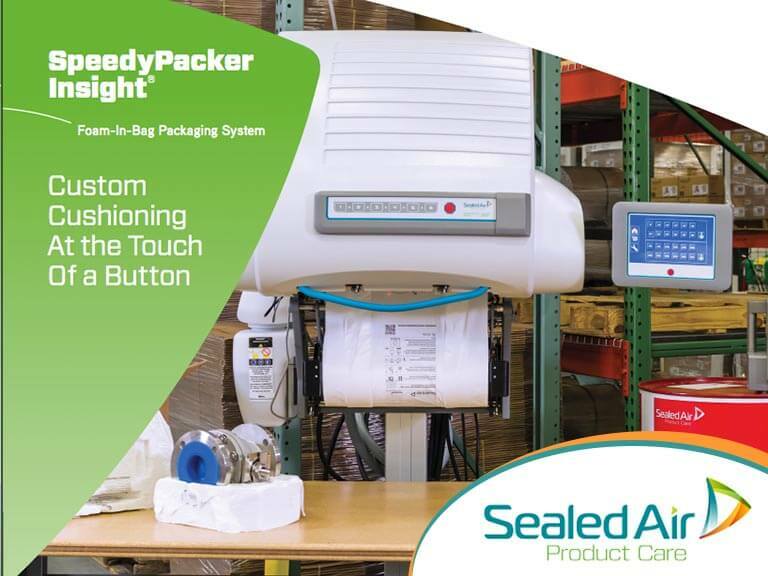 The system quickly delivers cost-effective, superior product protection and presents your product to your customers in an attractive, damage-free package. Nothing matches the superior protection of Instapak® engineered foam cushions. Choose from over 15 different packaging foam formulations to create the precise type of protection your products require. Barcode scanning and helpful “how-to” resources ensure your products are packaged the optimal way, every time. 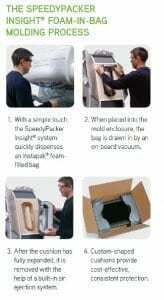 Efficient Instapak® foam reduces pack size and dimensional weight without sacrificing packaging performance. Continuous Foam Tubes (CFTs) are convenient and may further reduce material usage. Instapak® foam cushions present a clean, no-mess appearance to your customers. Your products arrive as intended, and the material can easily be disposed or reused for return shipments, with no quality loss. Loading a new roll of film has never been easier, as the film-loading cradle allows the operator to load film from a more natural height. The drop-in-and-load design simplifies alignment. 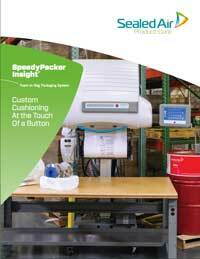 The SpeedyPacker Insight® system features two intuitive ways to control your cushion production. Mirroring the first six buttons of the touch display screen and capable of activating the system, the Quick Select Button panel stores commonly used, pre-determined cushion sizes for fast and simple deployment. 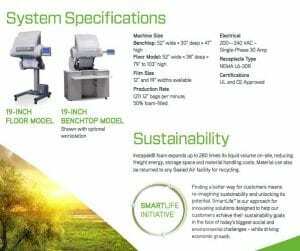 Additionally, the enhanced control panel is larger, with a simple yet robust interface and a greater range of flexibility for placement.